"Why are you so sad?" 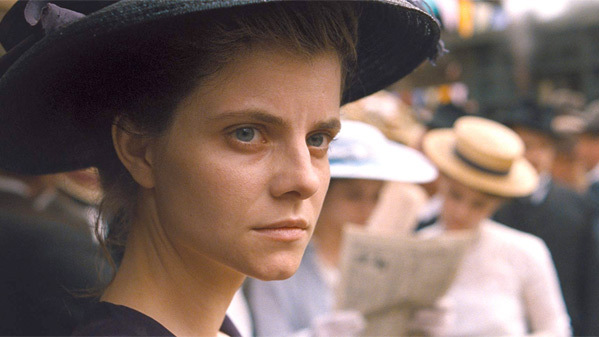 Screen International has unveiled the first official trailer for László Nemes' new film Sunset and my goodness does it looks incredible. This is the next film from the highly acclaimed Hungarian director of the film Son of Saul, and it's set to premiere at the Venice and Toronto Film Festivals this fall. Sunset tells the story of a young girl who grows up to become a strong and fearless woman in Budapest before World War I. Juli Jakab stars as Írisz Leiter, and the cast includes Vlad Ivanov, Susanne Wuest, Björn Freiberg, Levente Molnár, Mónika Balsai, Urs Rechn, Judit Bárdos, and Evelin Dobos. I don't know much about this film yet, but I think it looks extraordinary already, especially because I believe Nemes is a genius (for making Son of Saul). I'll be seeing this in Venice and will have a review up soon after. Set in Budapest in 1913, the film focuses on Irisz Leiter, a young woman who arrives in the Hungarian capital hoping to work at a legendary hat store previously owned by her late parents. When she is turned away, she sets on a search for a man who can reveal the truth about a lost past. 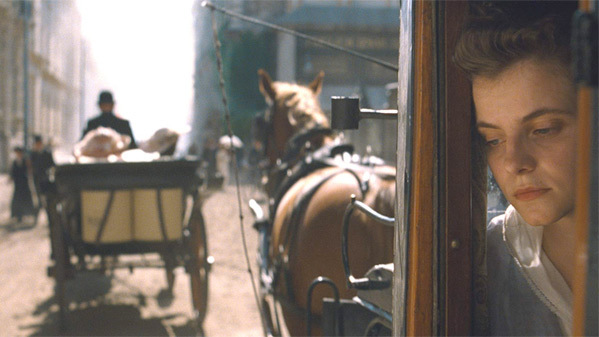 Sunset is directed by acclaimed Hungarian filmmaker László Nemes, making his second feature film after Son of Saul, which won the BAFTA Award. The screenplay is written by László Nemes, co-written by Clara Royer and Matthieu Taponier. The film is set to premiere at the Venice Film Festival first, before playing at other film festivals this fall. The film will hit theaters in Hungary this September, but no other release dates are set. Stay tuned.